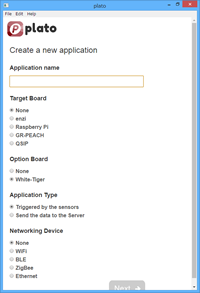 It creates an IoT program automatically by creating a scenario like. Plato makes it easy to shape your ideas. 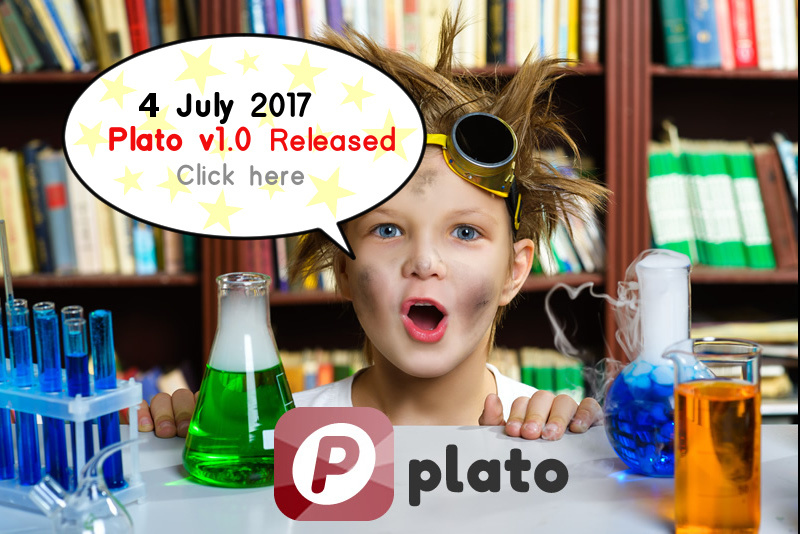 Plato is open source software. Anyone can freely download and use it. mruby is the development language of open source software. 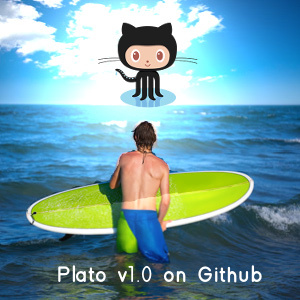 Plato takes advantage of mruby's "easy to develop for developers" "easy to port to different hardware" features. In Plato, we prepare boards equipped with environmental sensors and networks that are frequently used in IoT. 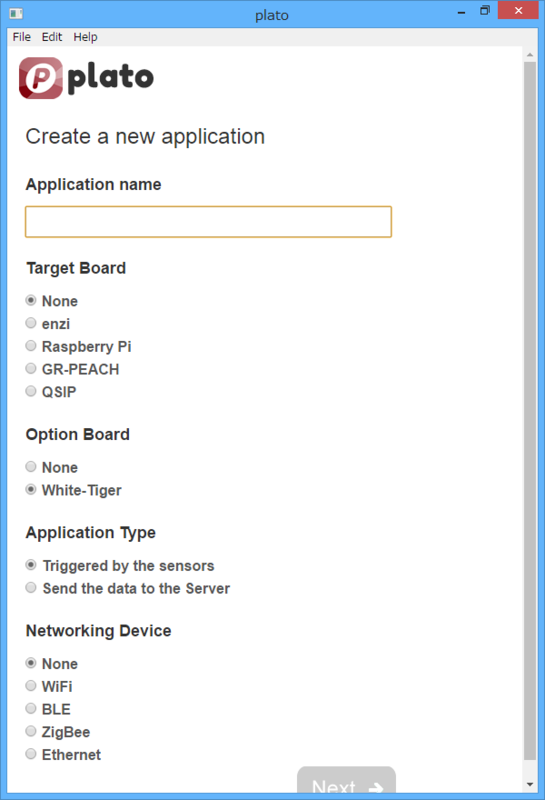 By using this optional board, you can start developing IoT application more quickly and easily. Of course you can use Plato without this board. 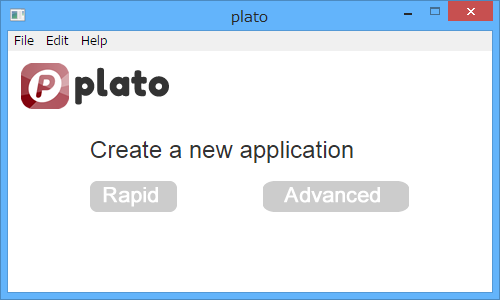 Plato has a "simple" mode in which applications are automatically generated according to scenarios, and a "custom" mode in which libraries for developers who wish to further develop development can be selected. 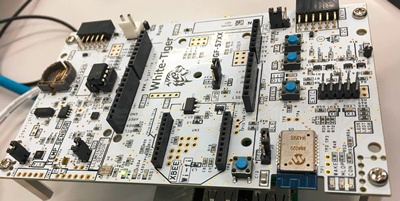 ＊White-Tiger is an Aruduino compatible pin assignment. We also have a conversion board that can convert White-Tiger to Raspberry Pi pin. 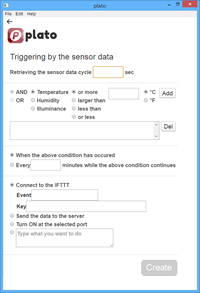 It is a menu screen to be used when menu creation is selected to create an application that performs something based on the sensor value on menu screen 1. Determine the actual application behavior. 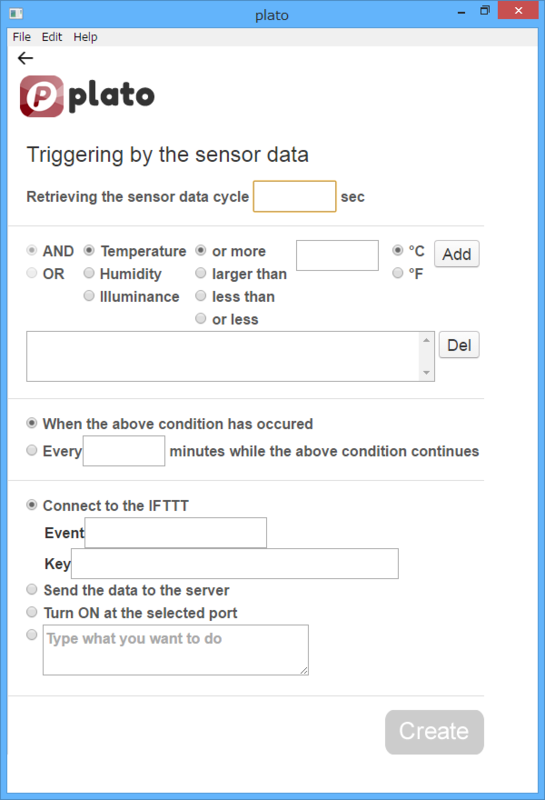 Select the sensor and set the conditions. Several conditions can be selected. The content of the application will be added at any time. Since all devices are connected to the network in IoT, it is necessary to pay sufficient attention to security. The security option of Plato guarantees the following security.